Whatever happened to name, rank and serial number? I guess that's just for the movie heroes and real patriots in uniform—something Sen. John McCain [R-AZ] (former Lt. Commander John McCain, USNR]) was neither—a movie star nor a real patriot. But, if you had heard Sen. Fred Thompson's [R-GA] account of McCain III's internment in Hanoi, you would have left the 2008 Republican National Convention convinced he was a bigger war hero than Alvin York or Audie Murphy, who never provided his North Vietnamese captors a word more than his name, rank and serial number. Don't get me wrong. Anyone who flies a fighter-bomber over an enemy city or stronghold in a bloody, non-forgiving war through heavy anti-aircraft fire, rockets and guided missiles just one time, has done a more heroic deed than many career civilians have done in a lifetime. Every war is filled with 90% of the dogfaces and leathernecks who returned home without a chest full of gold or silver medals to remember "those days," but came back with Purple Hearts, and fragments of lead bullets and steel shrapnel in their bodies, or missing limbs—the only momentous of a time they wish they could permanently erase from their memories. McCain reveled at his father's and grandfather's rise through the ranks in the US Navy, and believed he was destined to do the same. However, unlike his father and grandfather, McCain never played by the rules. McCain's superiors on both the USS Intrepid and the USS Enterprise viewed him as a substandard pilot who constantly argued with senior officers because he thought the rules only applied to officers whose fathers were not four-star admirals. Grandpa, the first John McCain, graduated from the US Naval Academy in Annapolis as an Ensign in 1906, and served as a junior officer (rising to the rank of First Lieutenant by war's end). In WWII he rose to the rank of 4-star admiral (in the Pacific theater). He was among the military top brass who witnessed Emperor Hirohito surrender his nation to the Allied Forces on the deck of the USS Missouri in 1945. In 1931, 25 years after his father graduated from Annapolis and ten years before Pearl Harbor John McCain, Jr. won his commission as an Ensign in his father's Navy. Like his father, he performed brilliantly, gaining four stars on his pennant—and the job as commander-in-chief of all US forces in the Pacific. Twenty-seven years later, in 1958 his son, John McCain III (our "hero") earned his Ensign's stripe followed by his wings at Pensacola. The McCain's covered the three facets of Navy live—on the sea, under the sea and in the air. But the younger McCain was not cut from the same cloth as his father and grandfather. He was cut from wholecloth because, according to then Sen. Lincoln Chafee [R-RI] who insisted that McCain made a pact with the devil. He was the original screw-up in Annapolis, and a disgrace to the McCain name—graduating 894th in a class of 899. (The May 14, 1973 US News & World Report version of McCain's capture by North Vietnamese soldiers resulted in McCain's A-4 Skyhawk was struck by a large Soviet missile on Oct. 26, 1967 during a bombing run over Hanoi. The 6' Zuni missile didn't explode. It tore the right wing off the Skyhawk. McCain was knocked unconscious when he pulled the ejection lever and catapulted from the aircraft. He awoke in what the Vietnamese called "the Western Lake" in downtown Hanoi with a broken right leg, mangled right foot, and a both of his arms fractured. McCain claimed for the next three or four days he was interrogated and beaten. In the US News article, he said he was in such bad shape, that one blow would always knock him out. But, McCain insisted, he never revealed more than his name, rank and serial number. When McCain awoke about three days later, he said, he discovered his wounds had not been attended to. He was told by his captors that wounded enemy soldiers are allowed to die because they came to Hanoi to kill. Years after the war, as McCain became a turncoat neo-con leftist posing as a conservative Republican, survivors of the Hanoi Hilton came forward to denounce him. One of those survivors was USAF Col. John Dramesi, who never broke under torture, never revealed anything more than his name, rank and serial number, and who escaped from the Hanoi Hilton twice. Dramesi said he came forward after several years of silence because when McCain hit the ground in Hanoi, the United States Military Code went out the window. As Sen.Fred Thompson described McCain's conduct in the hands of his interrogators as "heroic," Dramesi could no longer stand silently by. He remembered McCain justifying what he did by telling Dramesi, "I had to tell them or I would have died in bed." With respect to "the code," Dramesi noted that McCain had a corrosive effect on military discipline in the camp. "This business of my country or my life? [McCain] had the opportunity and failed miserably. If it really was country first, John McCain would probably be walking around minus one or two arms or legs—or he'd be dead." McCain's version in US News & World Report differs only slightly from Dramesi's. His wounds were still unattended after four days, McCain's guard looked at his knee which was the size of a football. McCain recalled a pilot who ejected from his plane and broke his thigh. McCain said the man's thigh looked like his knee. He died. McCain said he realized what happened to that man was now happening to him. McCain knew, without treatment, he was going to die. Dramesi's statement agrees with the words McCain said he used to plead with his captors: "I'll give you military information if you take me to the hospital." 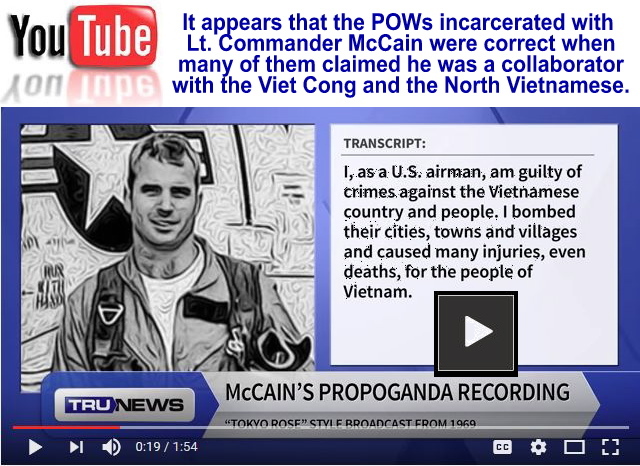 In the US News article, McCain noted there were very few amputee POWs who came back from Vietnam because the North Vietnamese would not waste medical attention on those who were going to die. Later, McCain insisted he said what he did only to trick his captors into providing him with medical care. That didn't do it. Telling his captors that his father was a four star admiral in the UN Navy did. When the camp interrogator verified McCain's story, McCain was taken to the hospital. His broken bones were set and he was given the medication he needed to save his life. The political director in the camp gave McCain the nickname "the crown prince." McCain knew his father's identity was directly responsible for his continued survival. McCain would be a worthy chit if the need ever arose. In 1980 McCain applied for a major sea command which would have elevated him to Admiral. 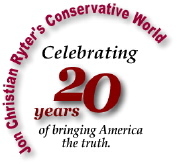 President Jimmy Carter declined McCain's request just before turning the reins of power over to Ronald Reagan in 1981. Carter disliked McCain who, in 1977 became the Navy's liaison to Congress. McCain convinced Congress to build a new super carrier which Carter not only didn't want but was determined not to build. McCain chose that moment to retire from the Navy and run for, and win, the House seat for the 1st Congressional District of Arizona. In 1986 he ran for the US Senate and has held that seat since Jan., 1987. He will be long remembered as the man who gave more than name, rank and serial number. He will also be remembered as the POW who gave his North Vietnamese interrogators his daddy's name, rank and serial number.